Often I will get a guilty "confession" from someone that they listen to my music on Spotify. First of all, guilt feels awful, so don't do it! But secondly, I want to assure you, that from my perspective, Spotify is a great place to listen to music and discover new artists. I'd like to highlight one feature of Spotify that is particularly revolutionary, and gets me really excited about the future of music. Playlists are a democratic system by which YOU the listener get to share the music you love with (potentially) millions of other listeners. 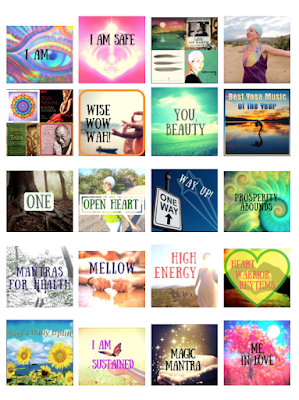 Take this "Best Yoga Music of the Year" playlist that I was recently added to, which has 2,514 followers at the time I wrote this. 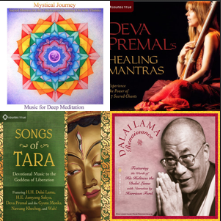 OR, this "TIBETAN BUDDHIST MANTRAS + ALL" playlist I was just added to that has 11,427 followers at the time I wrote this! Every time someone listens to this playlist (that I did not create! ), I get paid. And depending on how many playlists I am added to, and how often people play them, and how many people play them each time, that really adds up. That means more people are getting exposed to my music, which is why I do this in the first place! Also, the revenue generated from all these playlists means I get to create MORE RECORDINGS, which then go on Spotify and increase my chances of being added to even more playlists... which allows even more people to hear my music... and so on. So by all means, playlist-me. By all means, "follow" me on Spotify. By all means, listen all day and all night! The future of music is SHARING. I'm so happy to share with you. To see a huge collection of all the playlists I am on (that I am aware of), click here. Have you made a successful playlist that I'm on? Let me know and I'll add it to my page!